When was the last time you held swoon-worthy stationery? Lucky for us, Paper Hammer creates just that! With (literally) tons of heavy equipment - 3 letterpresses, a 1920s Smyth Stitcher, a century-old book press, wood and lead type - the by-hand methods of 1970s graphic design, and current digital tools, we create our signature remix of old-new, urban-rural, and orchard-industrial. Paper Hammer's freshest design includes lovely, red hearts. These babies are quickly becoming a favorite. They can be found in the downtown Seattle Paper Hammer store and even Bangkok at Stationery EastWest. Cascadia Magazine: Mighty Tieton to the rescue! "These days, thanks to our super-hero-obsessed pop-culture, everyone is looking for (and marketers pray for) a great origin story. Fortunately, Mighty Tieton, an unlikely arts organization blooming in Washington state’s Yakima Valley, comes with one. There’s even a villain. Well, a prickly customer, anyway. 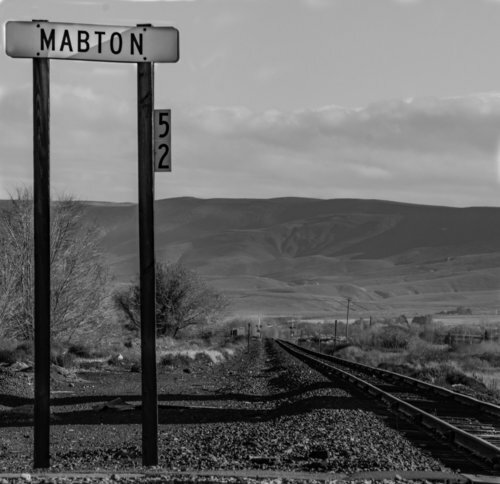 The brainchild of Seattle book publisher Ed Marquand, Mighty Tieton is an artisan business incubator in the sleepy Yakima Valley town of Tieton. It was the summer of 2005 and Ed Marquand, a Seattle publisher of high-end art books, was in Central Yakima enjoying his fortress of solitude (in truth, a comically rustic 400-square-foot cabin with no electricity or cell service). One afternoon, while on a bike ride through the valley’s striking landscape of arid desert meets fruited plain—Whammo! Evil struck in the form of vicious, bike-tire-gorging goathead thorns (aka, Tribulus terrestris, a species known by its extremely sharp, goat-head shape)." What a process! 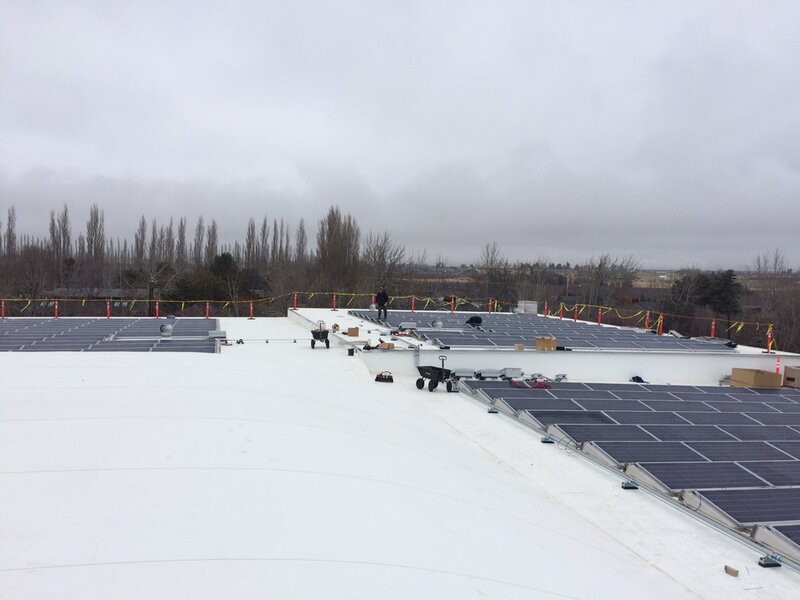 After several weeks of installation, power outages, and more, solar panels have been installed at the Mighty Tieton Warehouse. The panels add power to the grid. Within about 3.5 years, the investment should be paid off making the overhead for the warehouse much more sustainable. Just add sun and the warehouse will be generating non-polluting power. 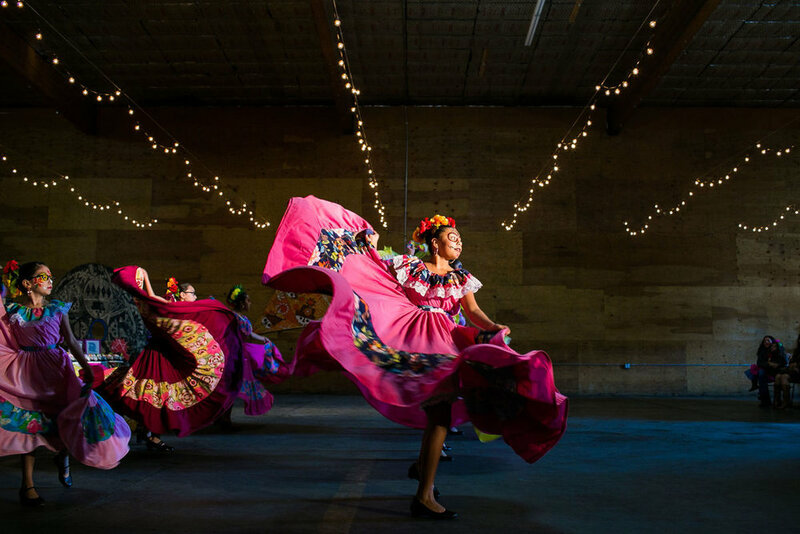 Tieton Arts & Humanities’ 8th annual Día de los Muertos Community Celebration is one of vibrant colors, remembrance of lost loved ones, altars, sugar skulls, papel picado, and images of La Catrina. 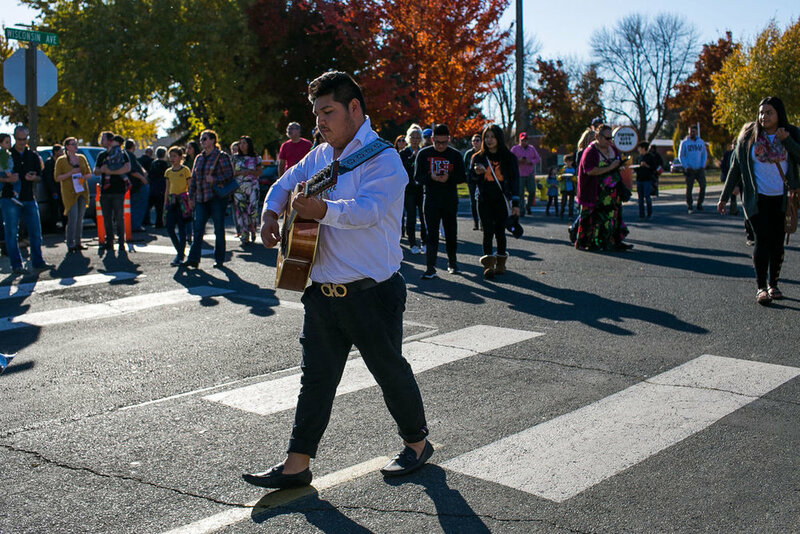 On Sunday, October 29 with 700 people in attendance, the event hosted arts and craft activities, Day of the Dead art installations, dancing, performances, and the first ever Día de los Muertos parade around Tieton Square! Faces are painted, pan de muerto is shared, and celebrating ensues only to remind us that “We bring death (our skeletons) with us every day. It is our companion. Let’s celebrate each moment of our life to the fullest, let’s allow our spirit of life to guide us during our journey on earth. 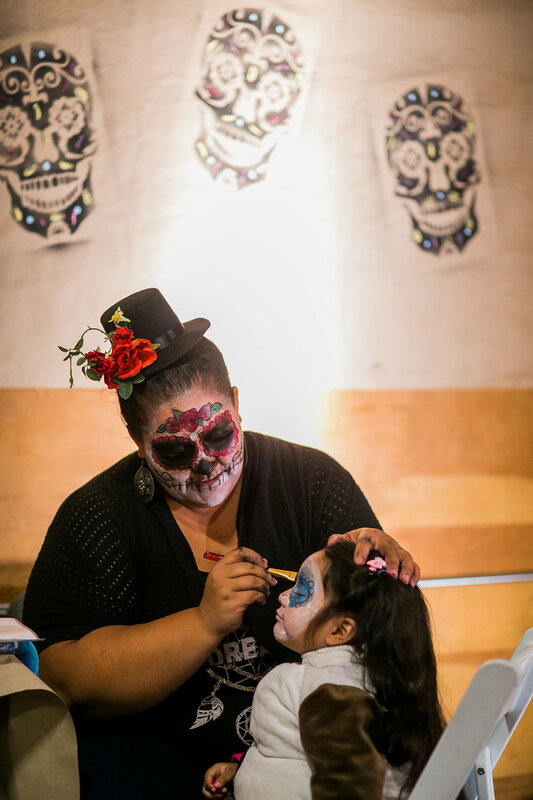 The colors, the music, the dances, the sugar skulls, gives death a sweet and fun meaning,” says TA&H program coordinator Aurora Peña Torres. See photos from the event by Yakima Herald Republic. The event is made possible with support of Washington Arts Commission, Gabriel Cosmetics, Yakima Valley Farmworkers Clinic, CPC International, DML Insurance, and Community Health of Central Washington. Interested in supporting this project? Your donations make a difference in the community. You can donate to Tieton Arts & Humanities here. 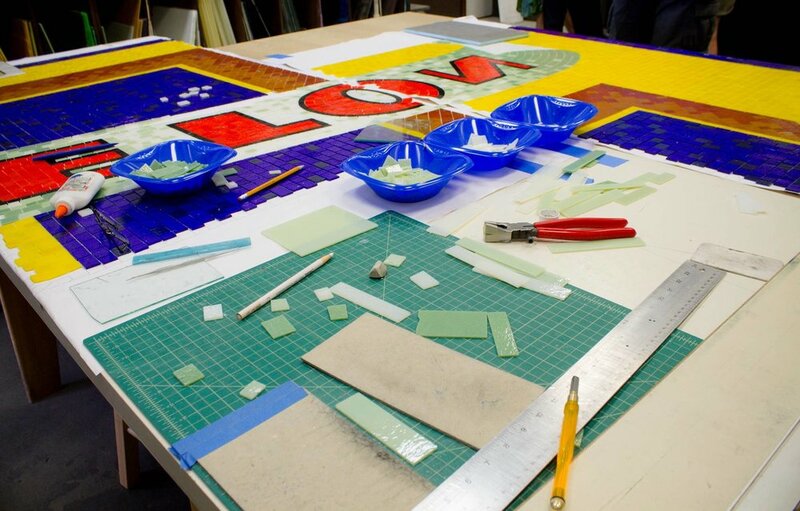 With several hands, many hours, and over 10,000 individually cut, hand-laid pieces of glass, the first installation of Tieton Mosaic’s Vintage project emerged as a 9 foot by 8 foot large mosaic mural highlighting the “Tieton T” fruit label, easily the most visually attractive mosaic made yet. 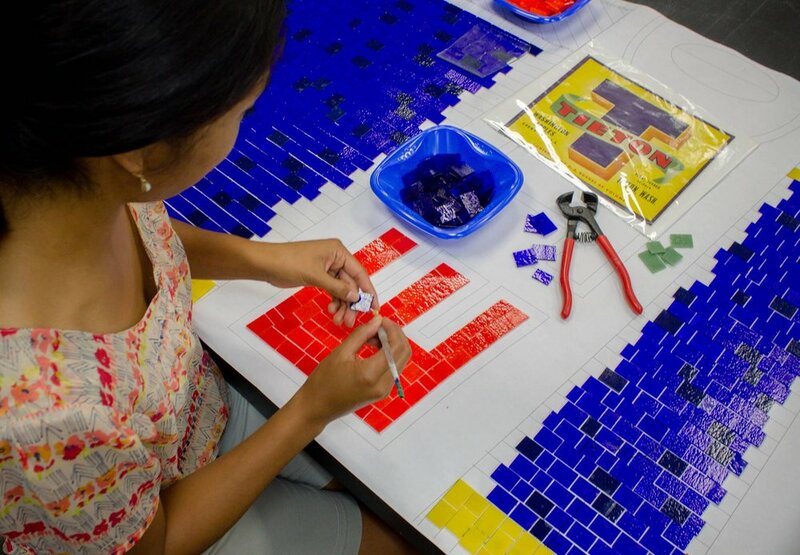 With bold blues, yellows, reds, and greens, it's simple design so easily enhances the beauty of mosaic work while demonstrating the trade’s remarkable skill set. Pairing mosaic work like this that has long been admired in New York City subways with well-loved and recognized local vintage fruit labels, Vintage is an endeavour to be celebrated in and beyond the community in Tieton. Which favorite fruit label do you want to see in mosaic form? Tieton Mosaic is experimenting with glass fusing so be on the lookout for something new in the next 6 mosaics, to be finished by the end of 2018. A project that pushes the boundaries of mosaic making and honors the local fruit history, Vintage alone makes it worth a trip to Tieton! Read more about the project in action here. Interested in supporting this project? Your donations make a difference in the community. You can donate to Tieton Arts & Humanities here. 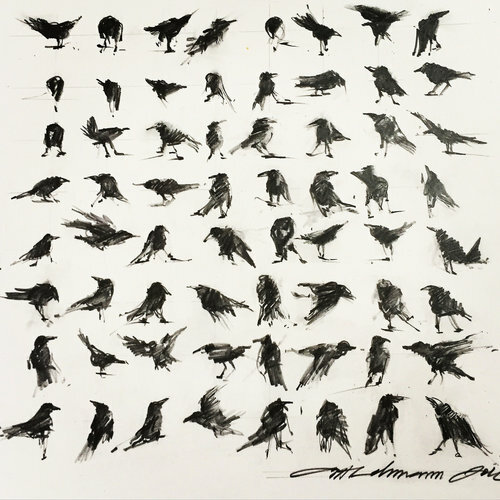 With over 40 pieces nominated for this year's People's Choice Award, Anita Lehmann came out as the winner by only a handful of votes for her drawing Dance Positions. The number of nominees speaks highly to the diversity and quality of work of the 2017 10x10x10xTieton exhibition. Congrats, Anita! 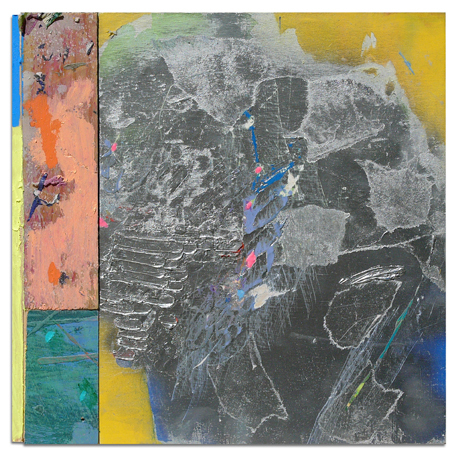 What happens when you put 194 art pieces from all over the world in a restored warehouse? People show up! 10x10x10xTieton wraps up this weekend, and what an enjoyable exhibition it has been. Tieton Arts & Humanities’ annual international art show was viewed by almost 900 people this summer, including 400 people at the Opening Reception on Saturday, August 12th and about 500 people during weekend gallery hours. That’s a lot! If you made it out to see the show, thank you! We hope you discovered a piece or two in the show to call your favorite. Might have missed the show? You can still view it online here. Interested in supporting this project? Your donations make a difference in the community. You can donate to Tieton Arts & Humanities here. Leah and Charlie's wedding day was SO Tieton. The bride and groom threw a truly unique party for their guests who played bingo, enjoyed a couple local food trucks, and danced all night under the Trimpin ring. View more of their big day here. Interested in hosting your very own event at Mighty Tieton? Learn more here. The annual LiTFUSE poetry workshop kicks off each year with a poetry slam. Free and open to the public, this event is fun for both poets and their fans. Enjoy dinner and drinks for purchase from Hoptown Wood Fired Pizza. The five recipients of the 2017 10x10x10xTieton Juror's Award have been announced! 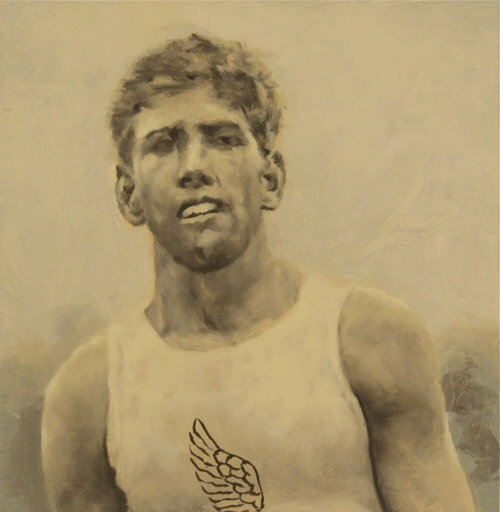 The jurors had to select from the largest showing yet, at 196 pieces. 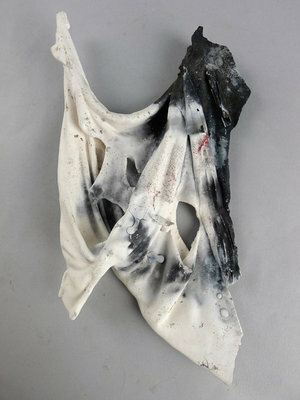 Through October 8, visitors of the show will have a chance to cast their own vote for the People's Choice Award. Stay tuned! Click here to learn more about the 2017 exhibition.